Used Car, SUV or Truck? Once you have finally reached the decision to purchase a pre-owned vehicle, one more thing to consider is what type you need and want. Narrowing your list takes some careful thought but it really all boils down to specific qualities you are seeking in a used vehicle. 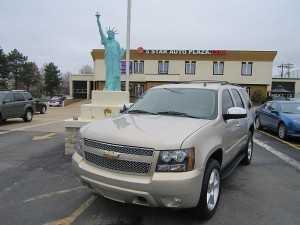 5 Star Auto Plaza is a car dealer in St. Charles with a large inventory from which to choose. Cars – This is the typical mode of transportation for much of the population. They come in all sizes, colors and shapes with a tremendous variety in options. Cars can move quickly and are much more fuel efficient than their counterparts. Trucks – This alternative is typically higher off the ground than a car and can haul a tremendous amount of cargo in the bed. Most models are also safely able to pull a camper or other trailer if required. Trucks are often lighter weight than SUVs and get better gas mileage. They are also less expensive than SUVs. 4-wheel-drive and diesel choices are frequently available from different manufacturers. SUVs – In many instances, sport utility vehicles have more headroom than trucks or cars. They are powerful and can transport items without exposing them to extreme weather conditions. They serve a buyer well in off-road driving conditions. Whatever used vehicle you decide that you need, contact 5 Star Auto Plaza today at (636) 940-7600. We are your used car dealer in St. Charles and look forward to offering our clients quality inventory and flexible financing options.